Whoever sang “It Never Rains in California” obviously was sorely mistaken. It’s been raining steadily for 2 days now (not that I’m complaining, I love the rain and our state desperately needs the rain) and I was looking forward to just sitting around knitting and watching some trashy reality programs off of the DVR today, a typical lazy Saturday at Casa Beholding Eye. Then, out of the corner of my eye, I saw a familiar sight. The mail carrier going past my window with the distinctive black and pink FabFitFun box, which wasn’t scheduled to be delivered until Tuesday. Well, that certainly gave me an unexpected burst of energy. Grabbing a cup of coffee, I dug right in. Yep, there it is. Coffee at the ready, let’s dive in. Full disclosure, I had been made privy to a full list of spoilers a few days ago…But all of you lovelies know that seeing a list, while fun, is not the same as having the actual products in your hands. As it turns out, there was one promised product that didn’t end up in my hands, but I digress. We’ll get to that later. Opening up the box, the first thing we see is the descriptor pamphlet for the contents of this month’s box. I actually cleaned my glasses to look more closely at the retail value of this box…Seriously, $383.59. UH-MAZING. Let’s see the actual products. Okay, getting past the descriptor pamphlet and the tissue paper, and moving aside some of the coupon items, here’s what we have. 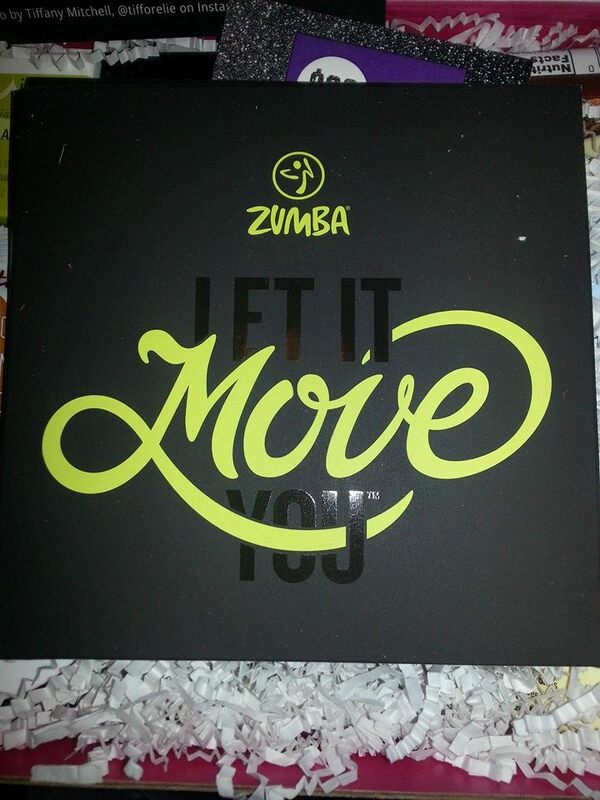 Here we have the Zumba 60-minute DVD “Max” and a $25 gift card towards some really cute athletic wear (with free shipping, too!). I’m not usually one who enjoys exercising, unless repeated lifting of the remote control counts. That being said, however, this DVD looks like fun, and what better way to get motivated than with some really cute workout clothes with which to get your Zumba on. 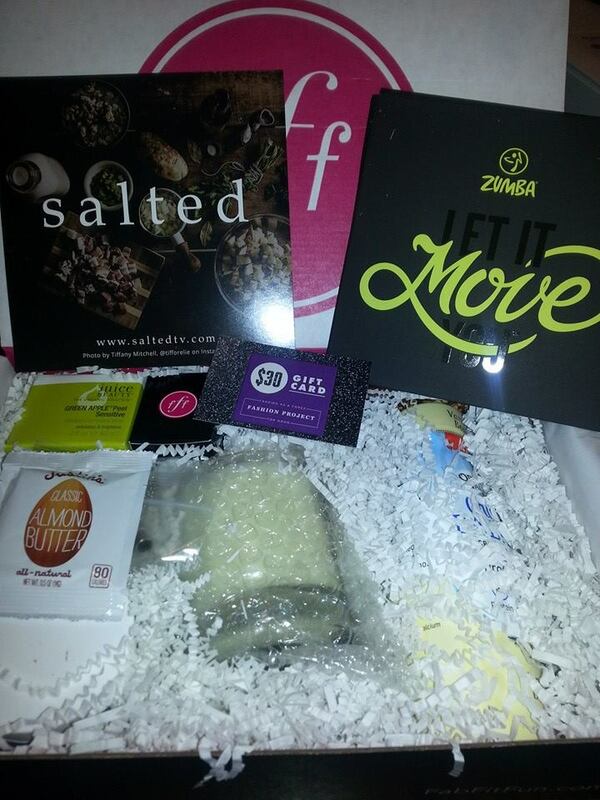 I prefer this to the FFF Fall box offering of the online exercise classes. We’ll put this to good use. 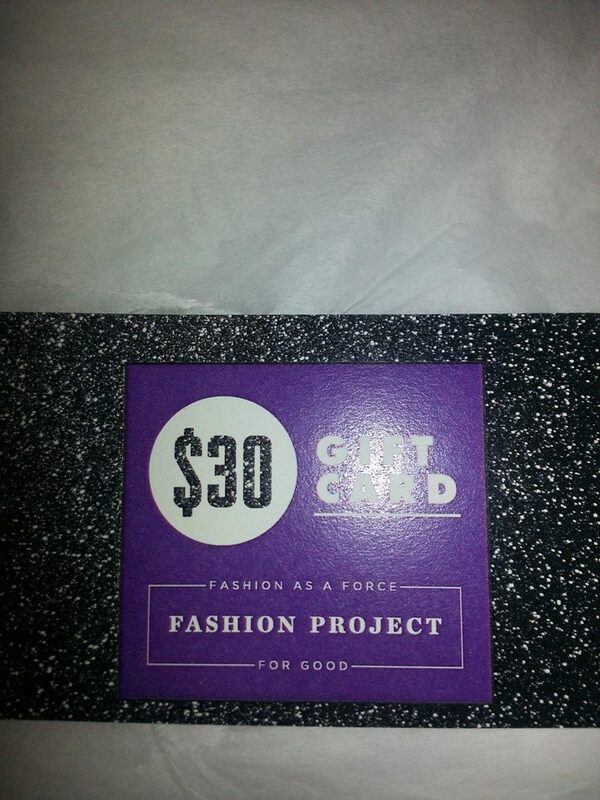 Here’s a $30 gift card (which oddly has a retail value listed as $18…I’m confused, but then I’m still on my first cup of coffee) to Fashion Project. Okay, I’ve checked out the website and you can get some really cute things (mostly high-end) for a GREAT price, and the flip side to that is, every item has to which charity a certain portion of your price goes. For example, I’m currently putting an item in my cart for which $2.75 of my $25 purchase will go to Ronald McDonald House. GREAT cause, GREAT items, GREAT idea. I’m all over this one. WOOT!!! 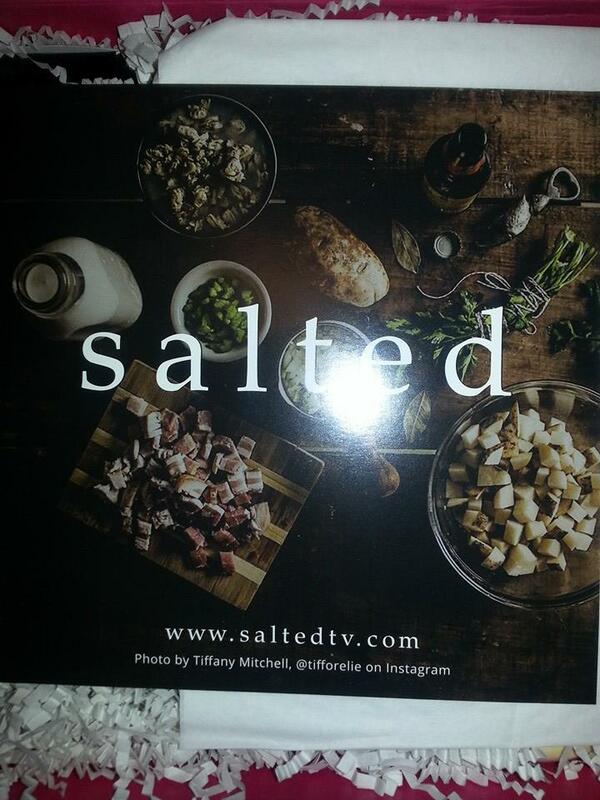 I love to cook, and this free 3-month membership to Salted TV is right up my alley. A quick peek at the Salted TV website shows an amazing assortment of classes, from Cooking Bootcamp to instruction on preparing sauces, Thanksgiving/holiday dishes, cocktails, introductions to Mexican and Italian cooking, and much, much more. This is probably my favorite item in the box, because I’ll definitely be putting my 3-month membership to very good use. 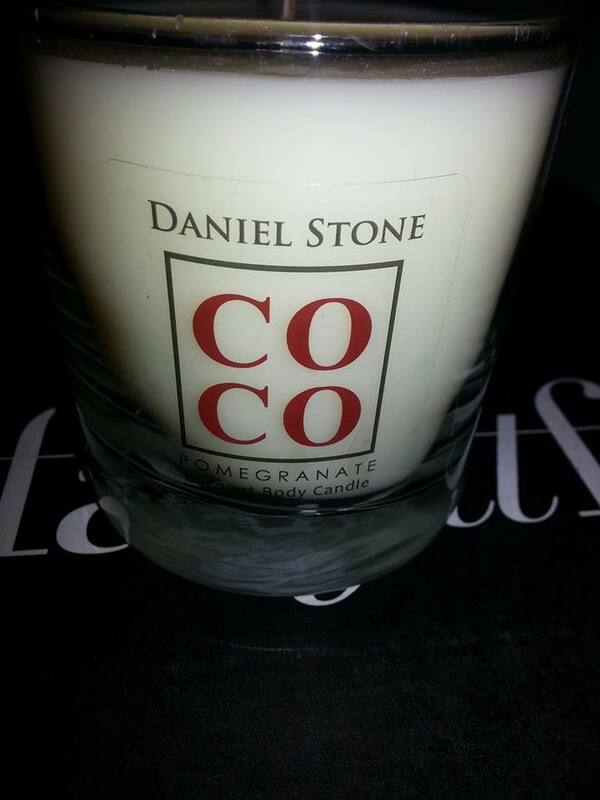 Here we have a Daniel Stone COCO Candle in pomegranate scent. It smells wonderful. 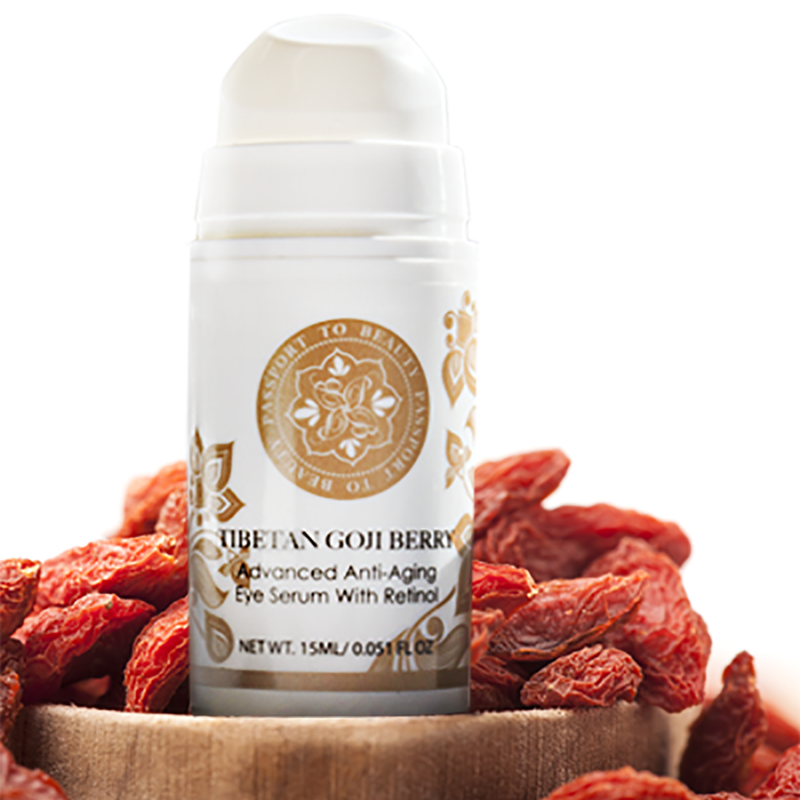 It’s made with natural coconut wax and claims to provide the cleanest burn available. I already have a house full of wax warmers and a small boutique’s worth of scented tarts and cubes, so I’ll probably be gifting this to someone for the holidays, but it is gorgeous and it does smell divine. It will go to a loving home. Ooooh, hand cream. Always a welcome product, but especially during winter months. 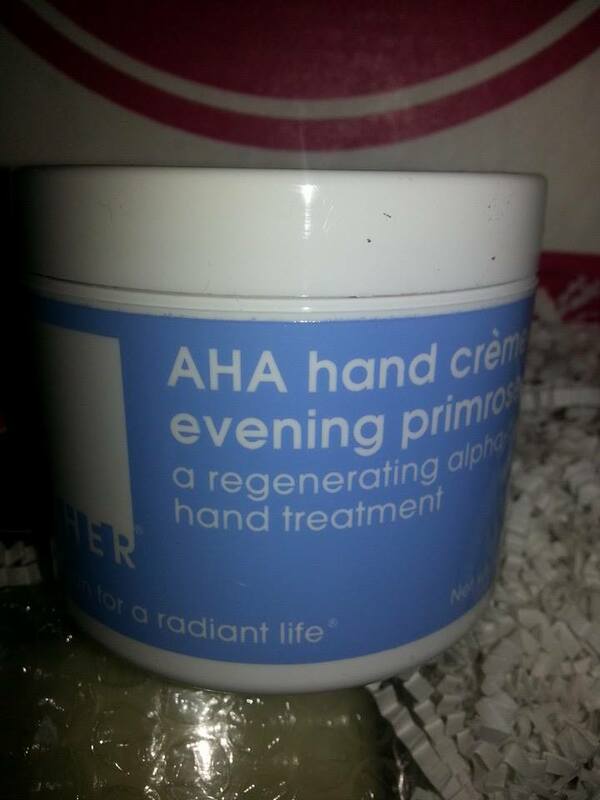 This one is by Lather, and it’s their AHA hand crème with evening primrose. This is so incredibly thick and luxurious feeling. 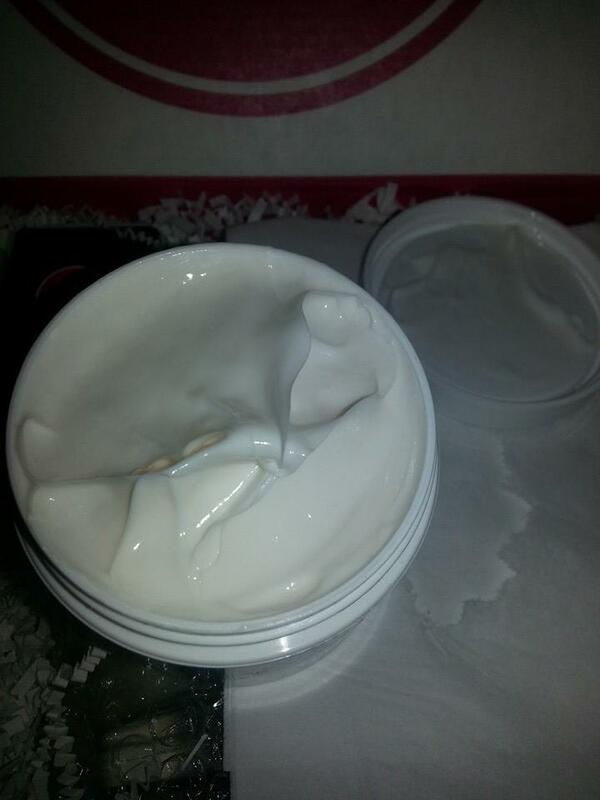 I applied a small amount to one of my hands when I first opened the box, and it left my skin baby soft. This is a very generous amount of product, too. Probably enough to get me through winter, since a little goes a long ways with this baby. Love it, FFF! 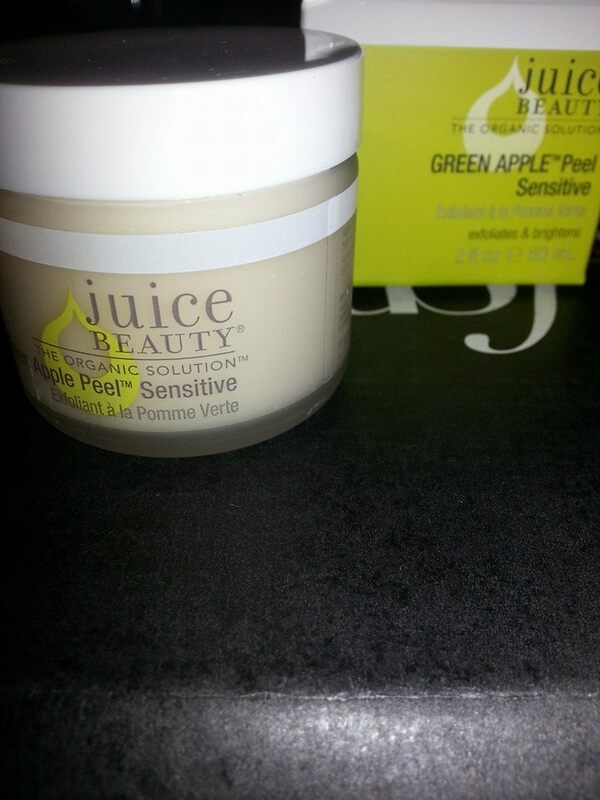 From Juice Beauty, here we have their Green Apple Peel Sensitive. This is a certified organic product (as I believe all Juice Beauty products are) that claims to exfoliate and refine to reduce fine lines and wrinkles. I’ve been holding onto a Juice Beauty Green Apple moisturizer from another subscription box in anticipation of getting this Peel product so I can use them concurrently. Can’t wait to try this one. Should be great in the winter to help deal with dry patches on the skin and even things out. I’ve been excited about receiving this item since FFF released a spoiler for it. I received the silver one (as you can tell from the picture). 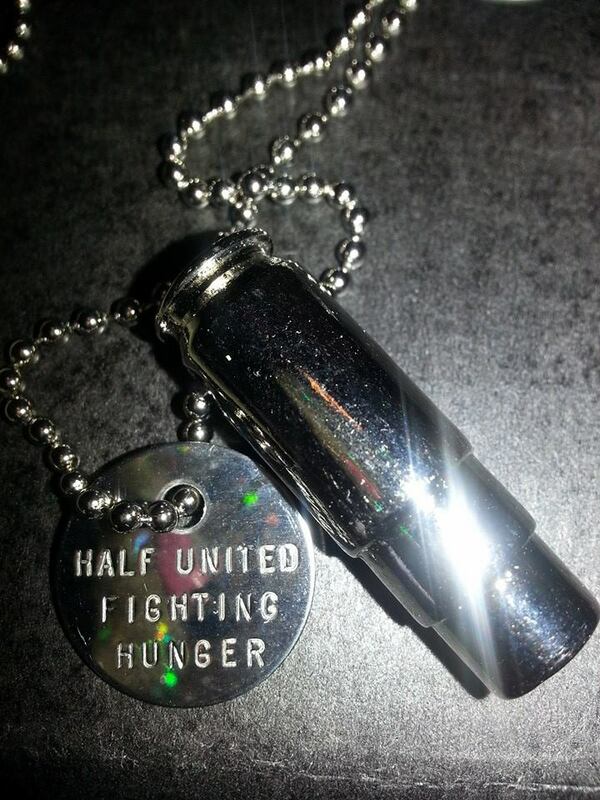 It’s really awesome, not just in appearance, but Half United also gives half of all of the profits to feed children in need. 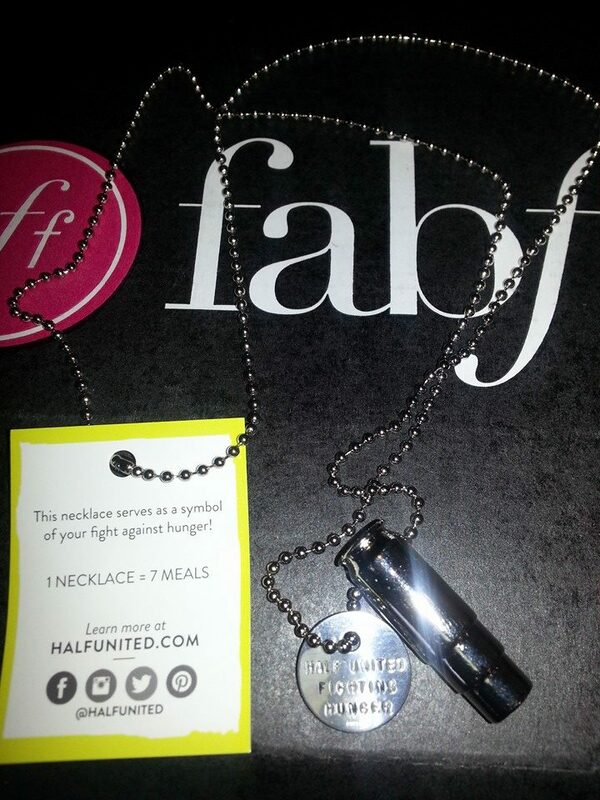 Another great cause included in a FFF box. I can’t wait to wear this chic yet edgy necklace and explain its symbolism. 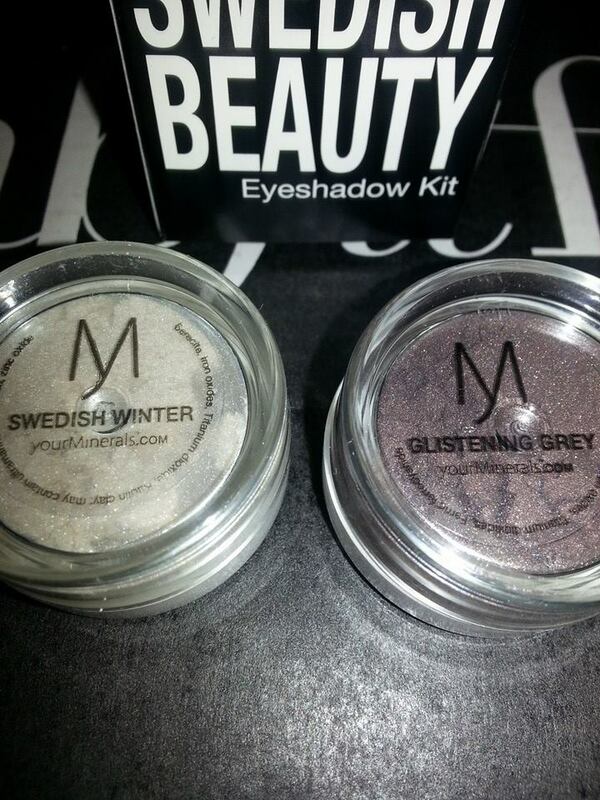 From yourMinerals, this is a mineral eyeshadow duo. I love both of these colors. I haven’t swatched them but they are gorgeous in the containers. Actually, colors I would have picked out myself. I always love it when a subscription box gives me colors I genuinely like and can actually wear. These will be perfect for the holiday festivities coming up. 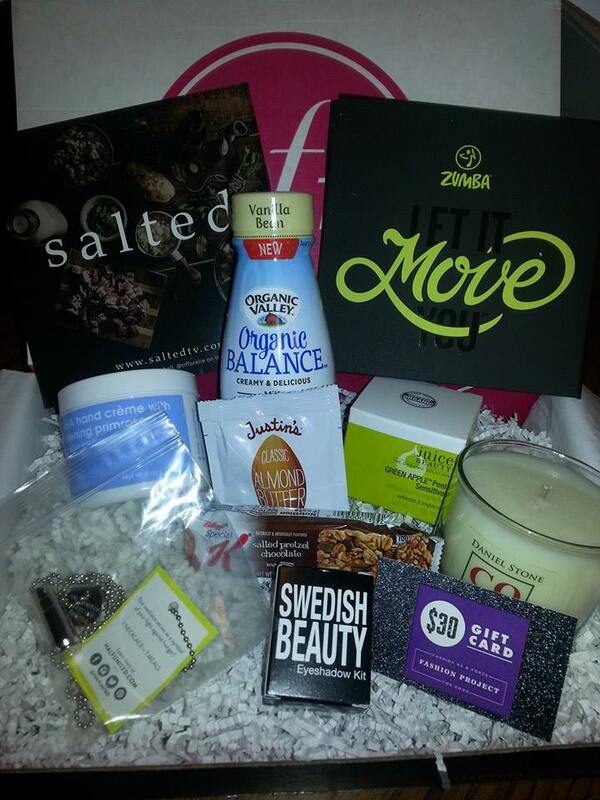 Like at the party where I’ll be gifting that amazing Daniel Stone COCO Candle. 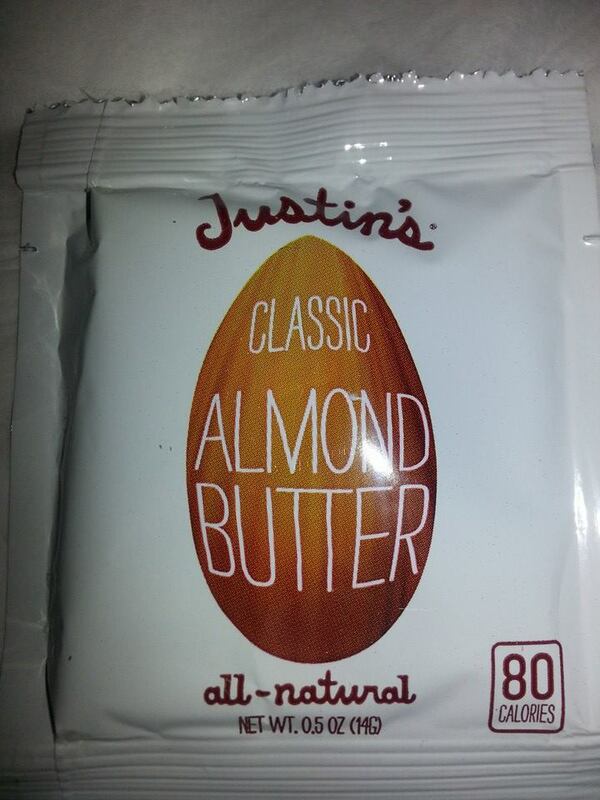 A single-serving packet of Justin’s Classic Almond Butter. I love almond butter. And peanut butter. And sunflower butter. And cashew butter. Yeah, as you can tell, this baby won’t make it through the day. The big question will be if I eat it directly from the packet or take the time to spread it on some whole-grain bread. NOM. 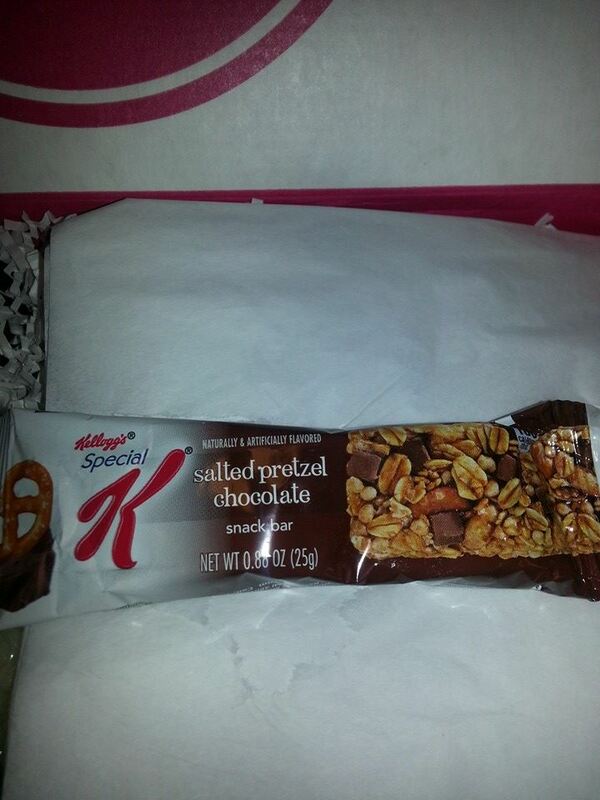 From Special K, it’s a chocolate pretzel snack bar. I’ve had these before. They’re NOM as well. This baby is going to suffer the same fate as the Justin’s Classic Almond Butter above. The question here is, which will be the first eaten. 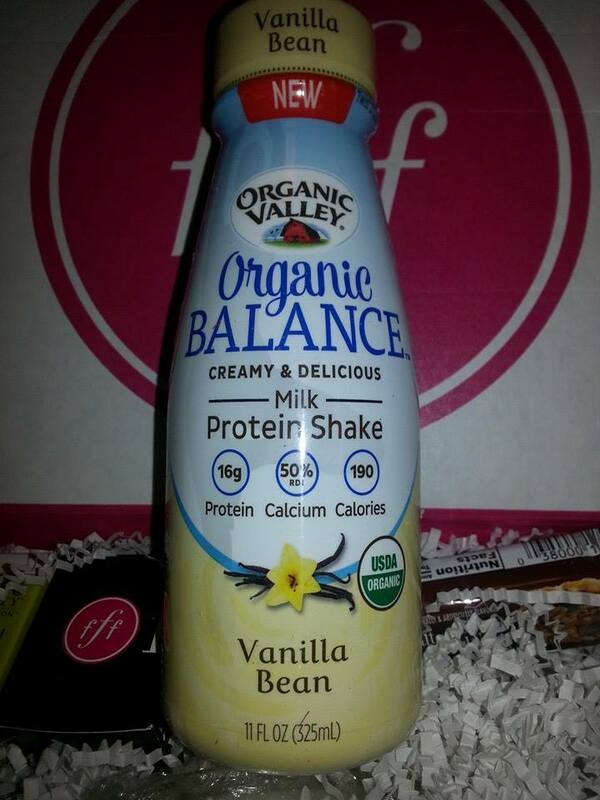 A full-sized Organic Valley Organic Balance Milk Protein Shake. I’ll actually be trying this one, even though I normally only like the Atkins protein shakes. This one has 16 grams of protein, no GMOs, is lactose- and gluten-free, and contains 50% of the daily recommended calcium intake. Sounds like it could be a perfect mid-shift pick-me-up, so into the fridge it goes for later consumption (in my experience, these protein shakes always taste best when they’re icy cold). 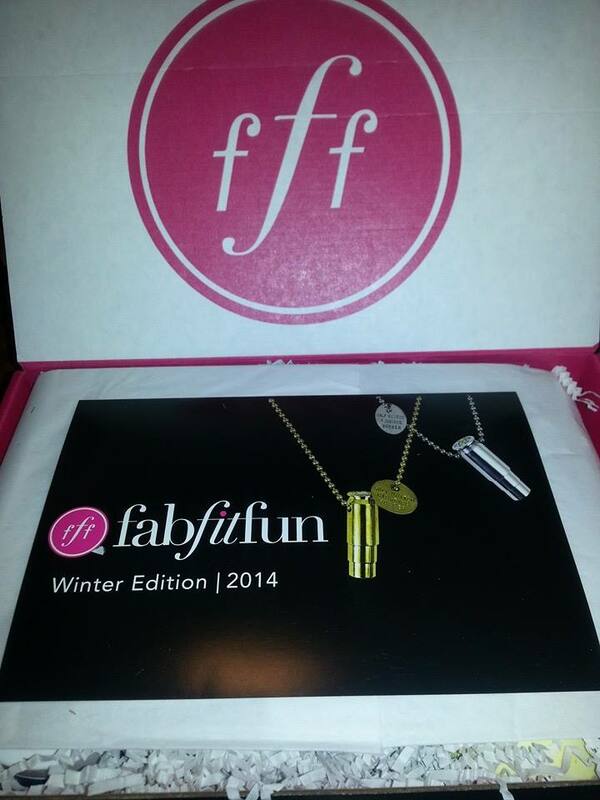 And here they are, the entire contents (less the above eye serum) of the FabFitFun Winter 2014 box. Now, in spite of the little faux pas with the eye serum, I’m totally delighted with this box and am looking forward to trying every single thing in it (the cooking school online membership already has me wanting to investigate the site further to see what decadent goodies I can make for dinner, not to mention the upcoming holidays). I’ve already loaded my virtual cart at the Fashion Project website and won’t have to pay a penny for the item I’ve chosen, since even shipping is free. And everything else is just divine as well. 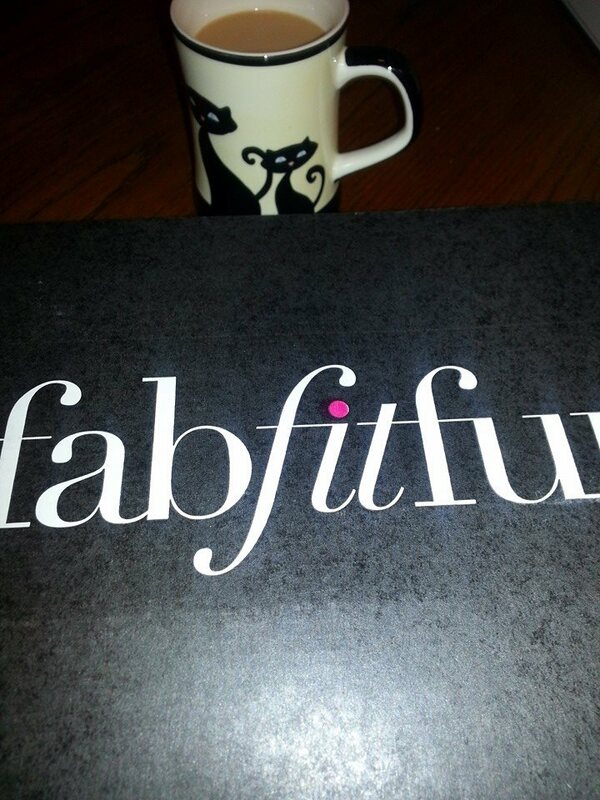 Take a bow, FabFitFun, this Winter box is every bit as good or perhaps even better than the Fall box.